Leading Manufacturer of Cooler Fan Blade Bush, Crimp Nut, SS Connector Nut, Anti Theft Nut And Bolt, Domed Cap Nuts and Long Nut from New Delhi. Being one of the foremost firms, we are engaged in offering a wide range of Crimp Nut to accomplish the demands of our patrons. These products are made by experts using the optimum quality material that ensure long service life. Furthermore, experts check this product on diverse quality parameters to ensure longer service life. We have marked a distinct position in the industry by offering a wide range of Domed Cap Nuts. The presented products are made using the premium class raw material and advanced techniques. Due to its corrosion resistance nature and easy installation, these products are extensively used in the market. Besides, this product can be availed from us in a diversity of dimensions and specifications as per the required requirements of our customers. Leveraging on our vast industry experience, we are offering a broad gamut of Long Nut. 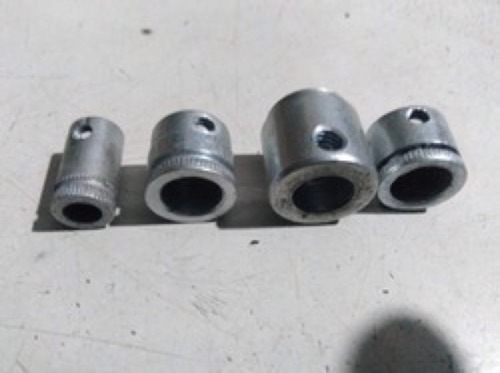 The provided nut finds wide application in machines, cars, engines, etc. for fitting purposes. Under experts’ supervision, the provided nut is manufactured with optimum precision using quality approved metal alloy. Accessible in various dimensions, this nut is provided to the clients at feasible prices. Backed with sound manufacturing unit, we are involved in offering Copper Nut. This nut is designed and manufactured using high grade metal alloy with the aid of progressive techniques by our deft professionals. The offered nut is well suited for fastening various components together. Also, we are offering this nut in diverse designs at pocket friendly prices.